As the market keeps talking about when and how much the $250 billion dollar plus Saudi Fund will invest in Tesla, the fund is talking to Tesla rival Lucid Motors, according to a recent Reuters report. Unlike the potential deal with Tesla which could run in the order of billions, the Saudi Fund’s (PIF) possible deal with Lucid Motors is a small one. The report added that “a deal with Lucid Motors would also be more in line with PIF’s limited resources, given that, despite its $250 billion in assets, PIF has already made substantial commitments to other technology companies or investments, including a $45-billion agreement to invest in a giant technology fund led by Japan’s SoftBank Group Corp”. But it’s not unusual for funds to invest all their money and keep raising more capital for further investments. Early this year the PIF was in talks with banks to raise $6 to $8 billion from banks. Though the fund is only managing around $250 billion dollars, the plan is to increase the asset portfolio to $400 billion by 2020 and $2 trillion by 2030, as the oil kingdom pushes to diversify its oil-dependent revenue stream. The potential Lucid Motors and Tesla investments could be part of the kingdom’s plan to hedge against a future decline in oil consumption. As transportation around the world adopts electric vehicles and alternative sources of energy, global oil consumption is expected to plateau for some time and then start declining. Lucid Motors was founded as Atieva in 2007 by Sam Weng and Bernard Tse. 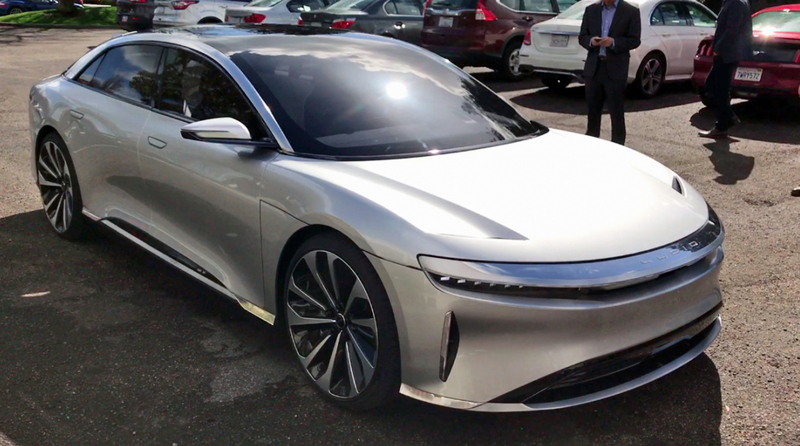 Headquartered in Newark (California), Lucid Motors raised $131 million in 2016 to fuel its ambitions to build an all-electric passenger car.